Finials are perfect micro-features you can add to you home and get the designer touch we all want. Here are 18 different ways to use finials in your decorating. This post gives tips on how to use them, how to create your own and how to copy expensive looks for the garden, kitchen and bedroom for a fraction of the cost. Finials are great staging tools to add character to your home where little or few architectural details might exist. Being a classic design feature you can create a luxury look without emptying your pockets. 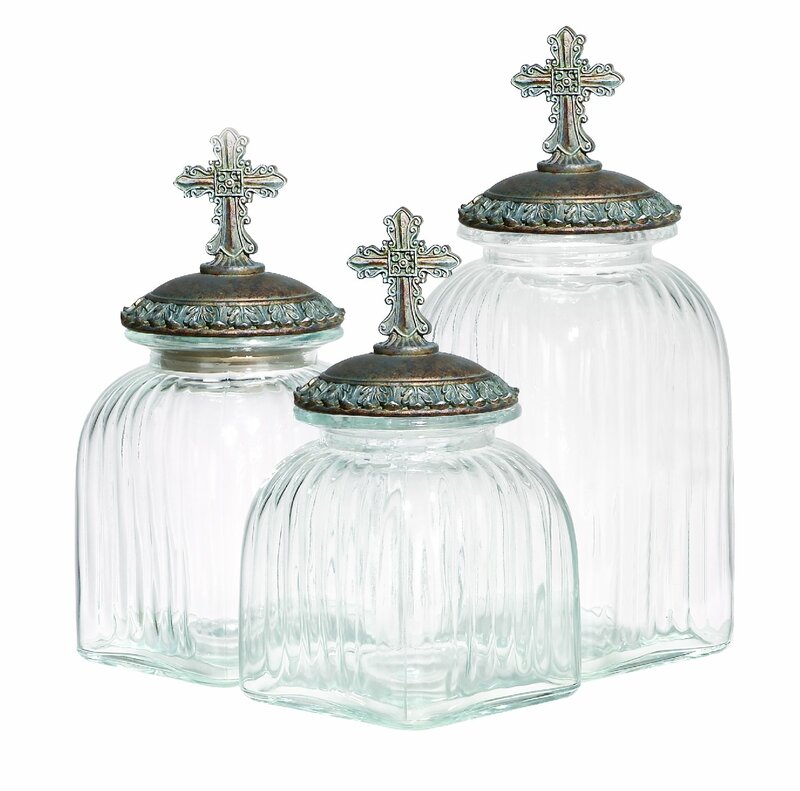 These decorative trinkets look great as a feature. You can add them to almost anything from bed post finials, lamp finials, fence finials and curtain rod finials for a super classic designer look. Decorative finials can turn a console, dining table or fireplace mantel into unique and beautiful features. They can elevate stairways, garden posts, as cabinet feet, bookends and of course, curtain rods by providing architectural detail. Beautiful architectural detailing, like the finials above, is becoming difficult to find at reasonable prices but if love "salvage yards and flea markets" you might get lucky and find the real thing. Our first finial hack is in the living room. 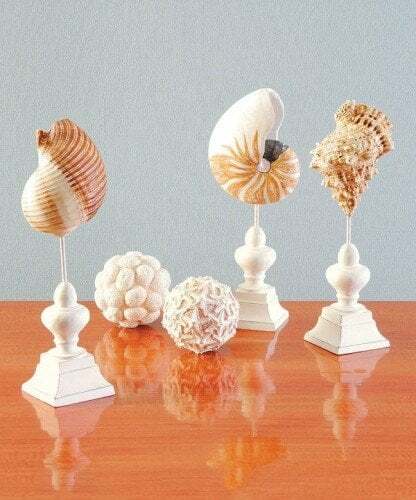 Making your own finials, like these from Tea and Lime, is not as difficult as you might think. Stained versions also work well. There is a tutorial if you love this hack, that you can use for your mantel, dining table or console. They range in price from $4-8 each. The small tops are from Lowes and the bases are small round wood plaques for $1 each from Michaels. The total cost for all three, before paint and stain, was around $40. Normally the cost to buy these would more than that ... each! These beauties range from 9″ to 14″ in height. Tea and Lime has a tutorial for the full hack. Another more decorative version of this hack comes from The Inspired Nest, complete with tutorial, to create the Pottery Barn knock off look below. 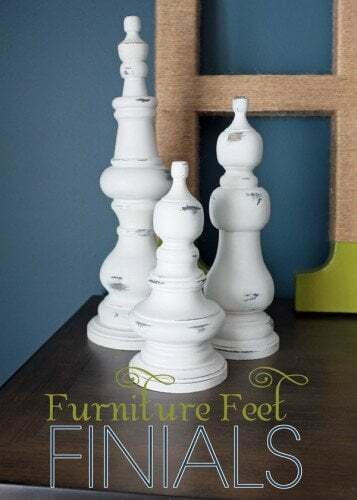 This version uses candlesticks as bases and glue or screws one, or more, finial to the tops, creating very tall and elegant pieces that make a great statement. Use a paint sprayer for a more even look, then sand away until you get the rustic or industrial feature you are looking for. 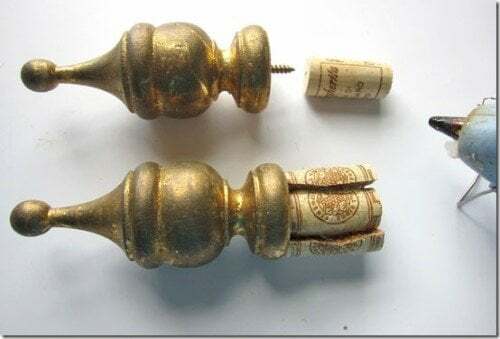 It's harder to give you a cost breakdown, because the smaller candlesticks were purchased for 29 cents each at Goodwill, along with some of the finials. Each piece was spray painted black first. In fact, you might decide to leave them black. The next layer was a cream color spray paint and the third layer of paint, a latex semi gloss. Sand before glazing, then wipe off slowly to get a creamy aged look. 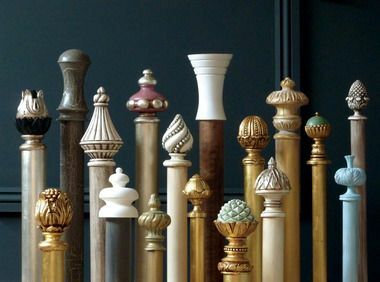 Smaller curtain rod finials used to decorate the ends of curtain rods, in the style or color of the room's decorating theme can be expensive. 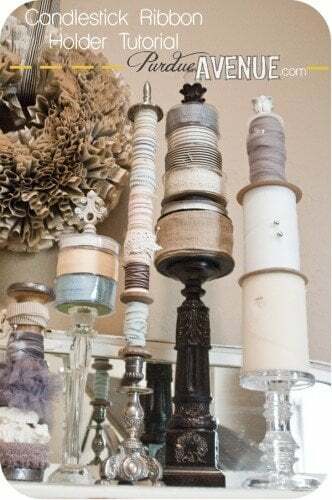 In My Style has a clever solution to make a curtain rod from a PVC pipe and screwing gilded wooden finials into cork and fitting them into the PVC pipe all for less than $10. Check the site for the full tutorial. Curtain rod finials draw the eye up to the top of the room and lengthen the rod beyond the end of the window frame, making your windows look larger. With or without the PVC Pipe, buy or make decorative finials, using colored glass knobs or metal work to get a great look without doing a lot of work. Paint wooden finials or plastic finials in black, gold or silver making them look lavish or simply paint them any color that suits your style and budget. 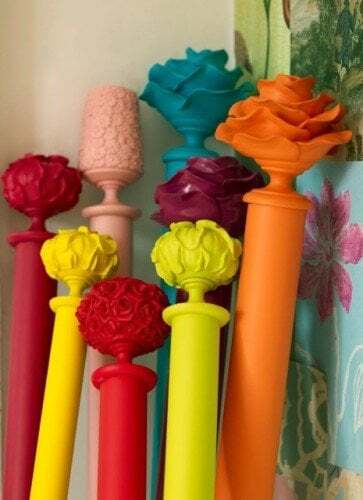 The curtain rods and finials below from UK Designer Selina Lake, can be easily copied, in hot colors that would liven up any room. This lamp finial, like this one from Amazon costs as little as $4.99, but can be used for so many things. Large hollow finials, stacked or added to candle sticks, and with tops drilled out, are a perfect table lamp base. You can paint, distress or guild to get a different look. Its easy enough to add a finial to a lamp, but what about adding smaller, more delicate ones to a chandelier? 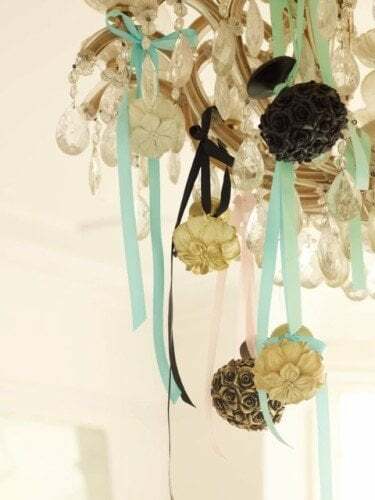 This chandelier with ribboned black and white finials, also from Selina Lake looks very fancy and would look perfect in a romantic bedroom. Long hallways can be difficult to decorate. 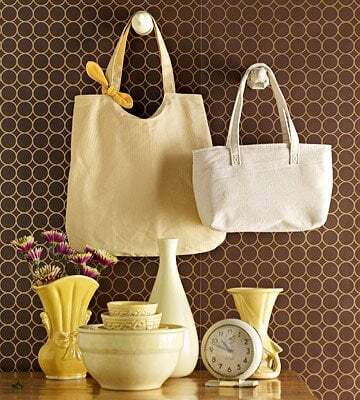 They often need a lot of wall decor to add some oomph. Finials were added as door knobs to a closet to add character and cuteness, in an otherwise bland and colorless hallway. 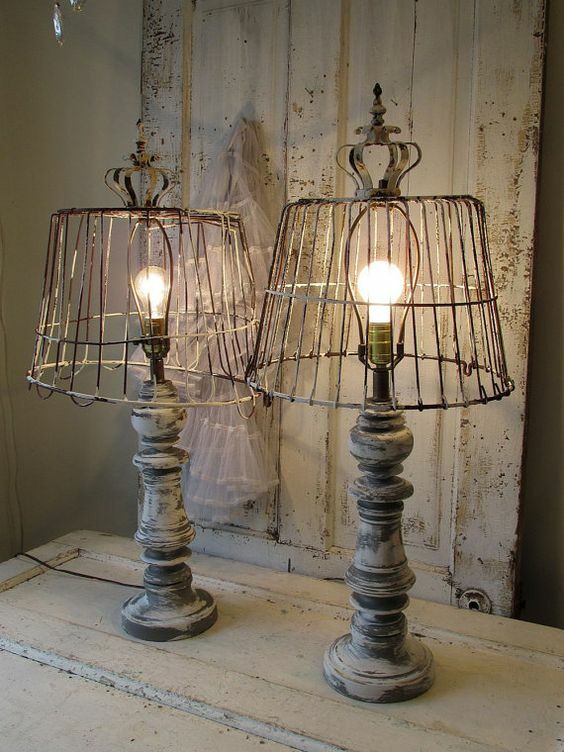 They can be made from wood and painted, or buy wrought iron finials, with a verdigris aged look for contrast. Still in the hallway is a great idea, for a hallway or entry, from The Krazy Coupon Lady. Replacing these hallway frame hangers with finials is a great way to get the designer look without the cost. The Pottery Barn knock off, costs $14.95 from Lowes for two, to add to your wall, instead of the slightly larger Pottery Barn wall hangers for $24 each. For around $30 you can hang 4 frames, or use them to hang coats or hats, or in the bathroom for towels. The lovely, warm wood texture looks great anywhere. This look from BHG below, is a variation on a theme, but looks just as appealing, for a smaller entry, apartment or bedroom. Add finials to furniture pieces to create custom furnishings. Large finials work as legs for a table. Place a glass tabletop across four matching finials and add felt to your finial feet to protect the floor. Make a coffee, dining or outdoor table in minutes. 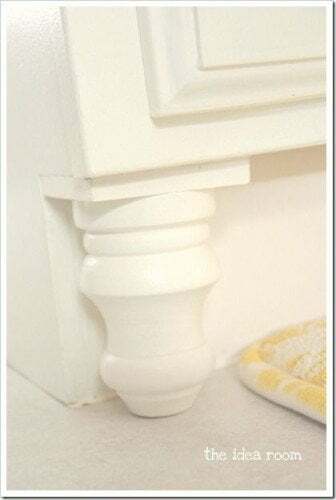 You can also add finials to the top corners of a plain wood or pressboard bookcase, paint and stain the same color and you have created a custom piece that looks like a designer piece. The Idea Room simply added finial feet to the base of cabinets (see above). The result is finished, expensive looking cabinets for around $5. Well worth the effort! Wooden post interior finials can be used as stairway finials, at the top and bottom of the stairway, made or painted in the same wood tones to match. 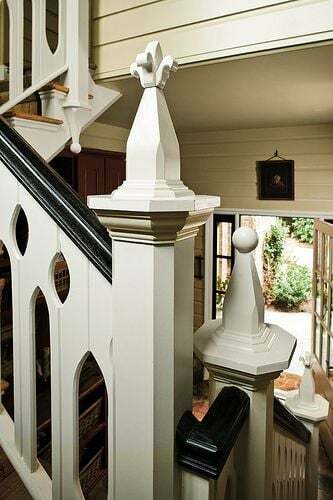 For staircases that lack character, finials are a great idea to add instant decorative features. You can use a mix of styles like the photo above or stick to one finial design. 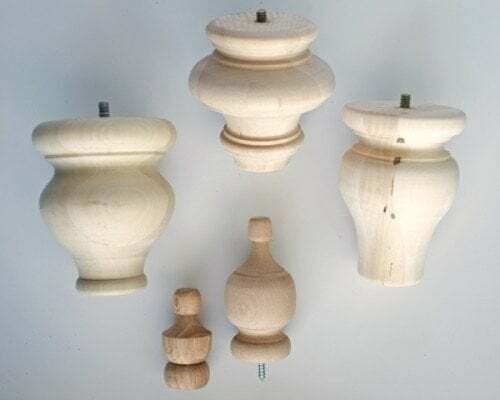 From as little at $3 you can buy wood finials in so many different shapes and sizes that could really make a difference to your staircase. You can make beautiful ornamental jars with flower finials or buy these below. 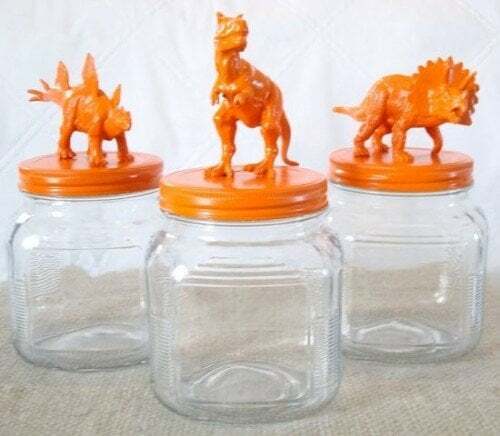 Or you can make your own storage jars adding a selection of tops and bottoms for great looks. 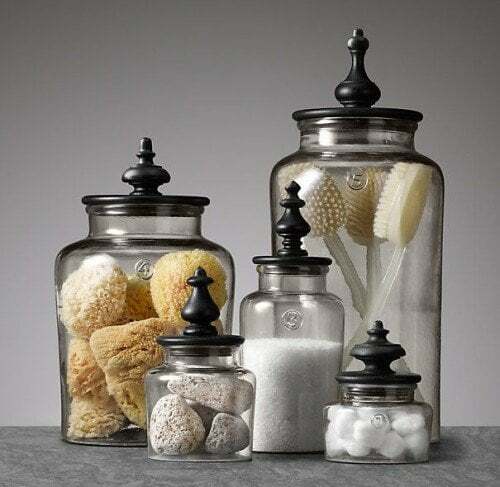 A combination of jars, candlesticks and finials creates these great storage containers that can be used in the kitchen, on your dining table, in the bathroom or guest bedroom. The tutorial with other ideas is at CJane Blog here. You can crazy depending on where you want them and who they are for... children anyone? Or what about these? 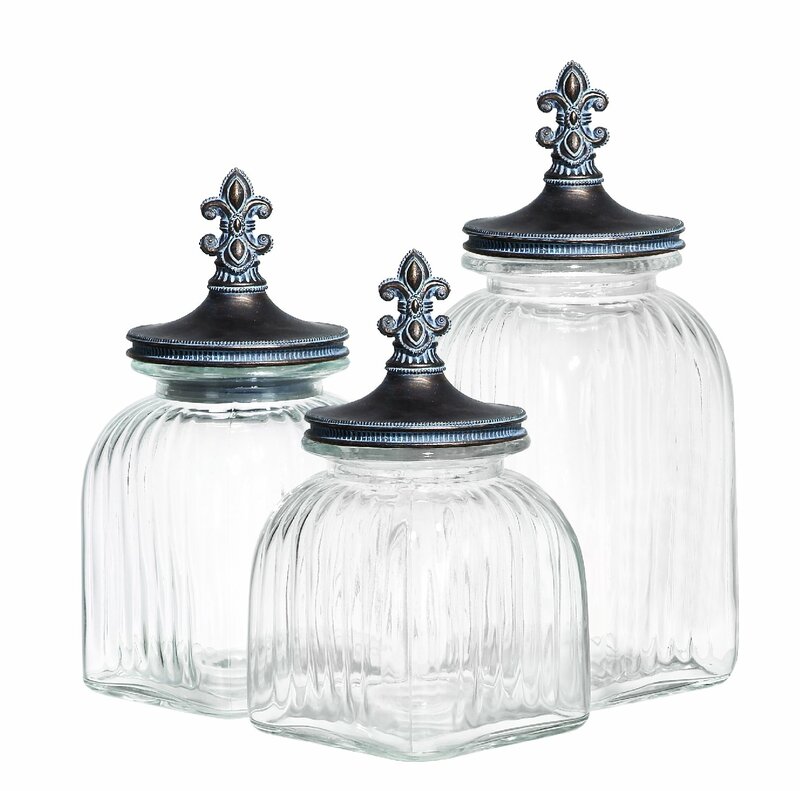 Create your own knock-offs of these Restoration Hardware jars and similar to some of the classic jars with finials further above. Or store your ribbons on this Candlestick Ribbon Holder topped with a finial from Purdue Avenue. Based on the storage idea, you could easily create beach or cottage decor or any other theme! Wonderful for those mementos that you're not sure what to do this or how to display. Garden finials are normally large entry door markers. The first is a DIY hose guide from Oregon Live. 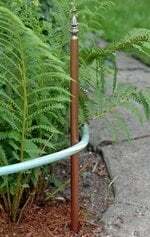 It looks very cute and just four easy steps will get your this very classy garden finial; simply by attaching a metal lampshade finial to an old wine-bottle cork and gluing or inserting it into a PVC or copper pipe. The next garden idea comes from Garden Web. 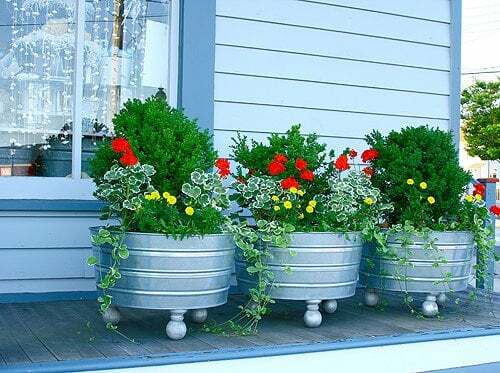 Wooden furniture feet added to these galvanized pots are perfect finials. 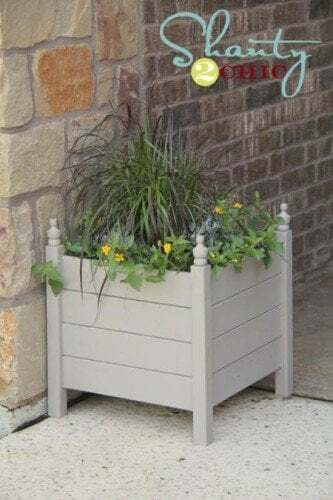 Ana White has reversed this idea, adding wooden finials to the four corners of this square planter to create a look that is less modern and more traditional. Square, round, different shapes or heights? Use what ever you have - paint them the a similar if not the same color and add your new finials for a great update. 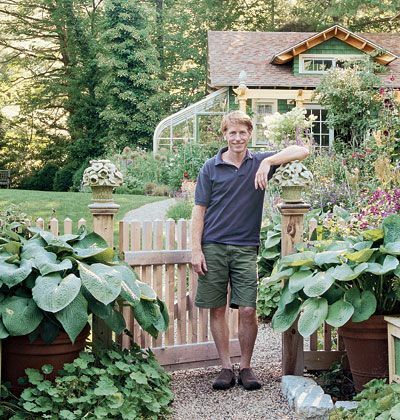 The last garden finial idea is adding finials to your garden fence to create a brand new look. You can add any size or shape. You can add them on each and every post or just two large ornamental pieces like the photo above to create a grander garden gate. Garden or exterior finials must be hardy to withstand the harsh outdoors. Use wood finials made from redwood and cedar or wrought iron, concrete or copper finials. Keep your eyes open for decorative finials at salvage shops, thrift stores and garage sales to fill the space in an empty corner in or at the end of a long hallway. They look impressive and ground your room. Two matching large finials serve as outdoor entry markers. To create your own, and avoid the architectural price hike, use two less expensive garden plastic, composite or concrete finials with a reasonable height and weight, and age them using stains and waxes to get the look you want. Your finials can be complicated, formal or casual. There are pineapples, urns, birds or fleur de lis to choose from, as well as metal, wooden, concrete, stone or plastic finials to decorate with. I have finials all over my home.. I am a little finial crazy I think and now... well, time to remodel some of my old finials. I love the aging ideas! These are so cool.. 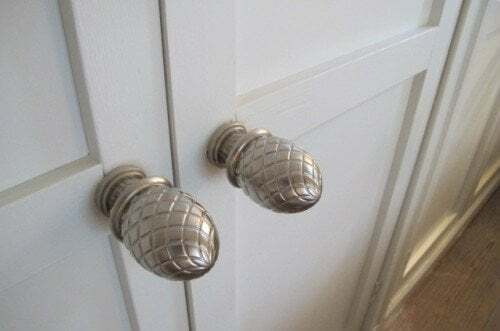 I never thought of using finials on my kitchen cabinets but its such a great way to update them and make them look important. 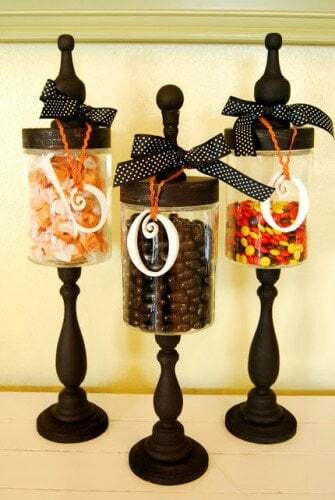 Pinning these ideas right now.. great for jar toppers! My garden fence is so dull these finials are perfect - as long as they don't go mouldy.. that would be disgusting. 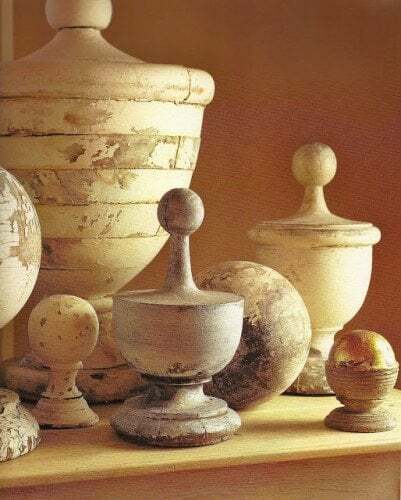 Have to say those ornamental jars looks absolutely intriguing to me. It js going to be a great gift for my mother, thanks! I love these finials. I would love to know where to find them. I'm hoping there is something there you might like too. Let me know.